This month, Ridgefield School District joins other school districts nationwide and throughout Washington state in celebrating School Board Recognition Month. 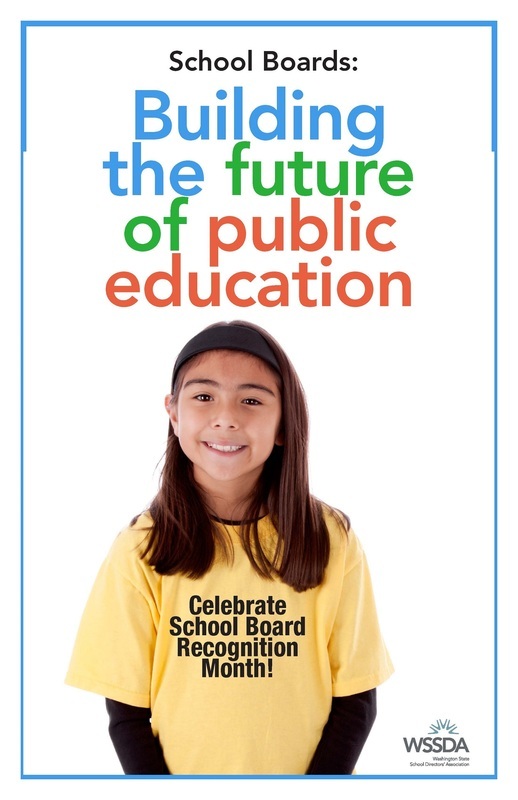 This is the 24th year of this annual observance initiated by the National School Boards Association. In the state of Washington, board members from each of 295 school districts and nine elected educational service district boards are honored for their work during the month of January. According to Washington State School Directors’ Association (WSSDA), Washington has 1,477 school board members--local citizens elected to represent and respond to the interests of the community. In total, Washington’s school directors govern districts serving 1.1 million students with a combined annual budget of over $15 billion, employing about 120,000 people. Our school board plays a vital role in helping the district navigate a variety of complex educational and social issues. Their efforts are crucial to building a thriving, equitable system of public education for all of our students. The Ridgefield School District is grateful in acknowledging each of our school board members, Becky Greenwald, Emily Enquist, Joseph Vance, Scott Gullickson, and Steve Radosevich for the important work they provide to Ridgefield schools and to our community.